The golden rule is the basic concept made famous by Jesus, who said "In everything do to others as you would have them do to you; for this is the law and the prophets" (Matthew 7:12, NRSV). In this famous quote from the Sermon on the Mount, Jesus tells us that doing unto others as we would have them do unto us is the perfect way to follow God's law. Teach children to live out this principle in their lives by engaging them in enjoyable and meaningful Sunday school lessons. Begin your Sunday school lesson by reading Matthew 7:12 and John 13:34-35. Talk about what it means to treat others as you would want to be treated. Tell the children that during Sunday school, they are to notice one another's needs and step in to help at every opportunity they get. Have them engage in kickball, painting and reading a book so that kids with gifts in some of those areas can step in and help the kids who are having trouble. Read scriptures in John and Matthew on the golden rule and talk about what it means. Following this discussion, ask the children to decide whether the golden rule was being appropriately used in Bible stories, such as the story of the good Samaritan, Cain and Abel and the story of Jesus dying on the cross for us. At the end of class, they can sign a covenant agreeing to do the best they can at home and at school to live as Jesus would have them to live by loving their neighbors as themselves. Arrange for an entire afternoon with your Sunday school students. 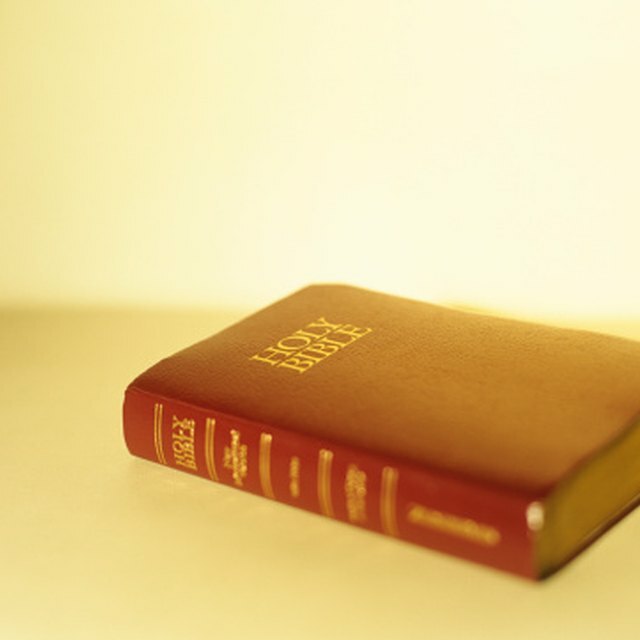 Start the afternoon by reading scriptures pertaining to the golden rule. Ask the kids to imagine what it would be like to be homeless or not have enough food, give each kid a bag lunch and then head out to a homeless shelter or food pantry in order to spread Jesus' love and make a difference in the community. Most of us, kids included, simply want to know that we are loved and appreciated. Begin your Sunday school hour by reading scriptures that demonstrate or state the golden rule. Then, have the children sit in a circle, giving one child a ball of yarn. The first child passes the ball of yarn to her right and compliments her neighbor. Each subsequent child does the same thing until the ball returns to the first child. Talk with the kids about how they can pretend that they are passing the ball of yarn to each person they encounter throughout the day, encouraging them to offer positive words to everyone they meet.